You see, these two nuggets take protecting our backyard very seriously. 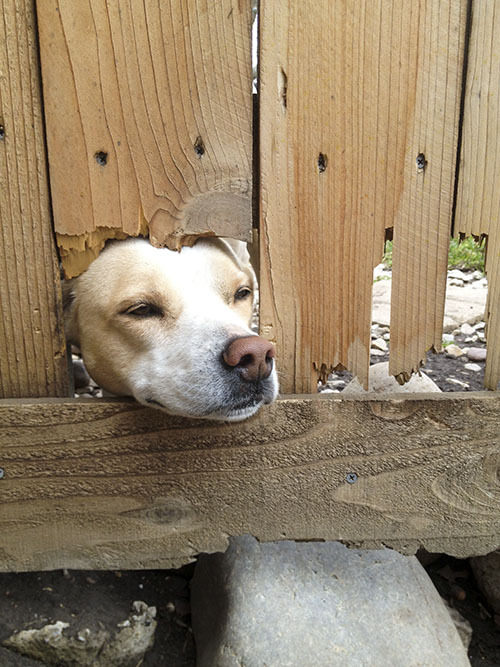 So seriously that they have destroyed parts of the fence to have a clear view of who's walking by. And since the husband spent so much time slaving over building this fence, the puppy damage was particularly painful for him. 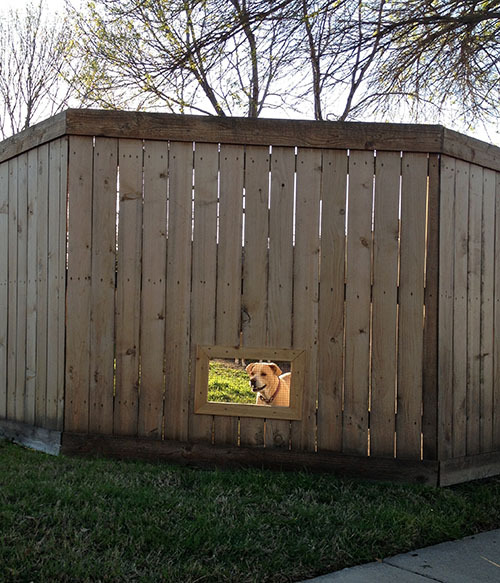 As soon as he went on spring break this week, he made it project #1 to install custom puppy windows in our fence to [hopefully] prevent further fence carnage. 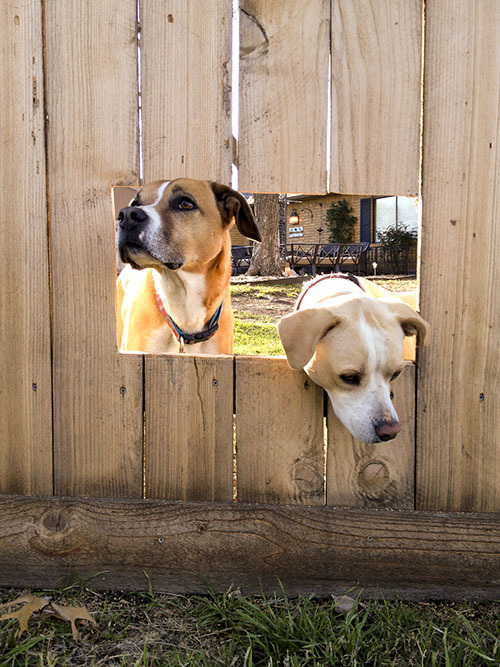 Now our fence features three custom dog windows, aka "doggy peepholes," so the nuggets can perform their guard dog duties without digging more holes and destroying more fence! First, you need to decide where you want to put your windows. We chose to put ours at eye level for our dogs (except for the first one, which had to go where they had already torn a big hole). 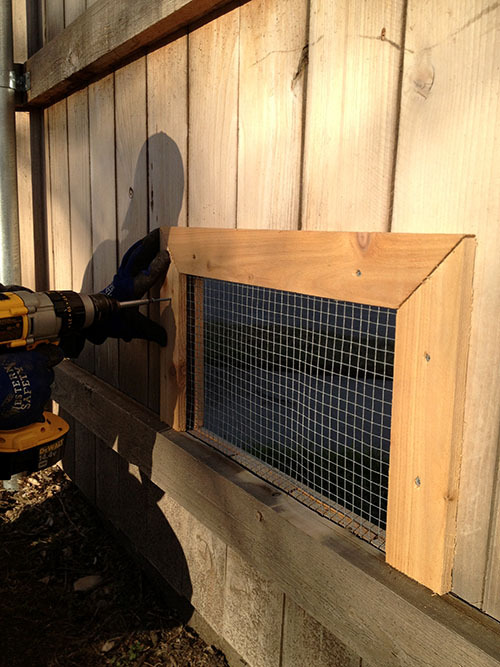 It's a good idea to put your windows between fence runners so that you only have to cut through the fence planks. Use the jig saw to cut the hole in the fence to whatever size you want. The nuggets really enjoyed this part. "Look mom, it's just like riding in the car and sticking our heads out the window!" 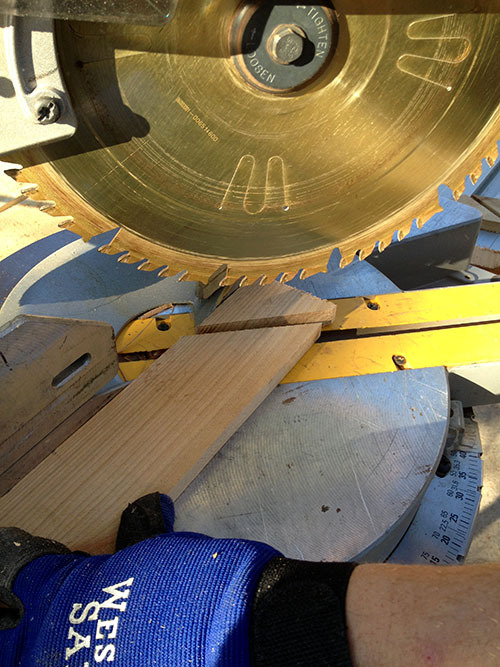 Using the miter saw (which makes it much easier to make angled cuts), cut the extra picket to the length you need for your window with 45 degree angle cuts on each end. 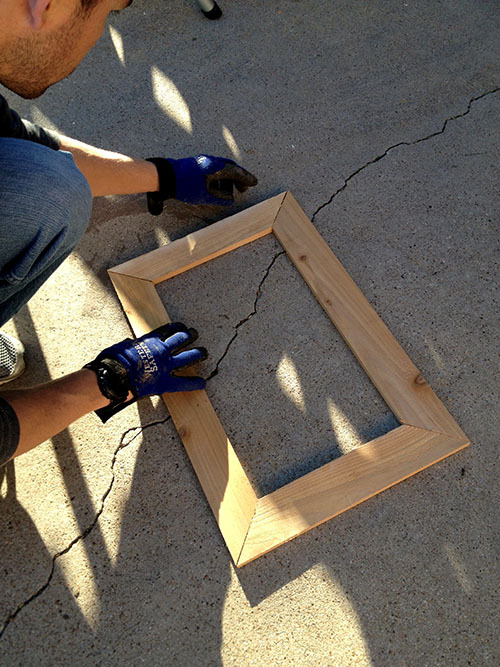 This will help you make the beveled frame for your window. Captain obvious instruction of the day: you'll need four angled cuts to make a window frame. 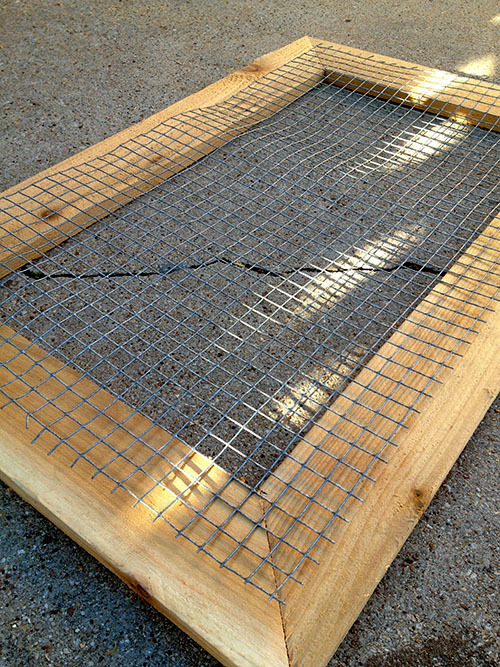 Use the wire cutters to cut the wire mesh to slightly smaller than your wooden frame. For extra stability, the husband placed the wire mesh between the planks and the fence runners, which are on the inside of our fence. 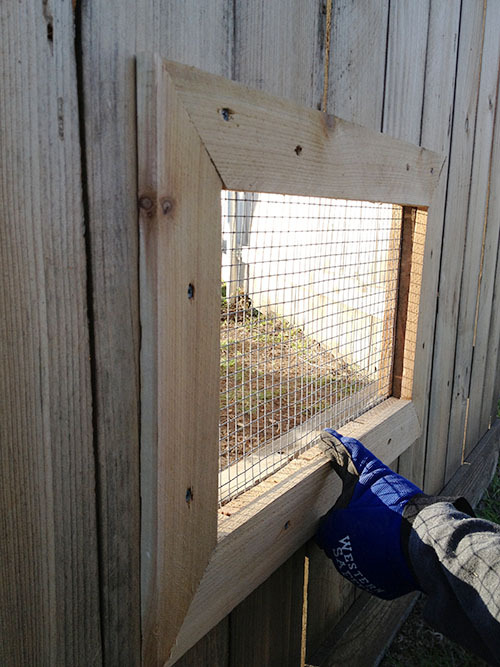 You could also just place the wire mesh over the hole in your fence and begin applying the frame if you want to simplify and eliminate some steps. 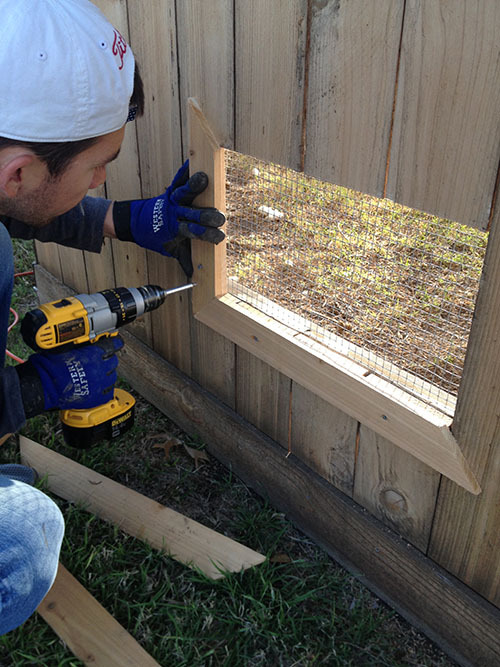 Once the mesh is in place, use your power drill to screw the frame onto the fence. Once the frame was finished on the outside of the fence, the husband also added a frame to inside to make that side look polished and finished. 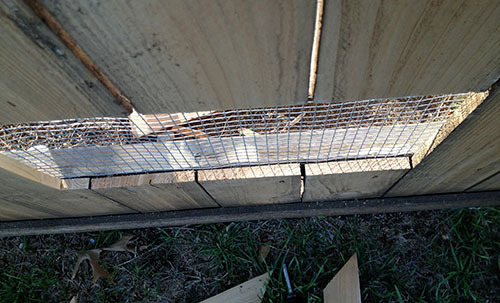 He only needed three sides for this frame because the fence runner was used for the bottom. We were super pleased with how the doggy windows turned out! 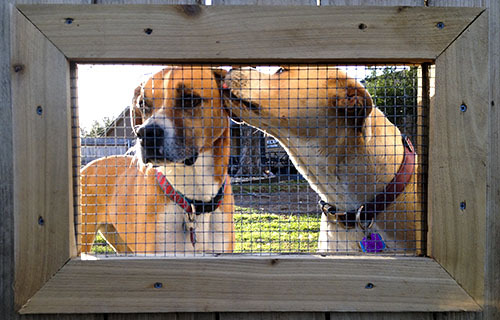 The dogs love being able to see the street without contorting their body or eating through the fence.